We are excited to announce that Ecosource has moved! Our new home at St. Hilary Elementary School (5070 Fairwind Drive, 2nd Floor) is bigger and better, giving us more opportunities to improve access to fresh, organic fruits and vegetables while increasing local food literacy. You too can support the establishment of Ecosource’s Local Food Hub by donating here. We look forward to welcoming you to our new space! On June 26th, the Peel Environmental Youth Alliance (PEYA) held its Annual General Meeting at South Common Community Centre. We had an amazing crowd of over 50 youth attend to celebrate PEYA’s accomplishments in the 2017-2018 school year, participate in our first-ever open mic focused on youth and the environment, and vote in the next Executive Committee for the 2018-2019 school year. In August, the Committee will attend a leadership retreat to plan PEYA events for the upcoming school year. 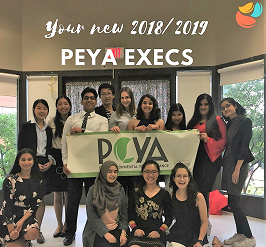 We can’t wait to see what’s next for PEYA and wish them success in creating sustained environmental change in schools across Peel. PEYA, a project of Ecosource, is a network of over 1,300 action oriented youth in Peel who are passionate about making positive environmental change. Stay tuned for future event announcements by visiting PEYA’s website and become a follower on Facebook, Twitter, and Instagram. Ecosource’s Play Outdoors Peel program invites children of all ages to play in community gardens across Mississauga! 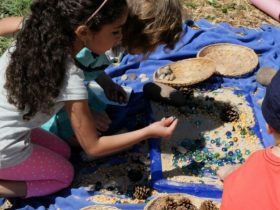 Sessions are FREE and include nature play, garden learning, and healthy snacks. For more information or to register for one or more drop-in sessions, please contact Stephanie Rivera at getgrowing@ecosource.ca or call 905-274-6222. Adults must accompany children for the duration of the session. Come learn about local food and food security with Ecosource at farmers’ markets in Mississauga. 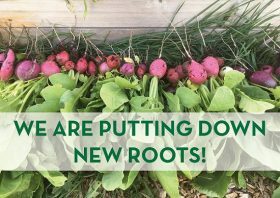 We will be selling organic produce grown at our Iceland Teaching Garden with the support of youth Local Food Ambassadors. The Riverwood Conservancy is hosting a moderately intense hike on the trails in Riverwood. This is a great opportunity to be active outdoors and enjoy the beautiful weather! Learn how to grow your own forest and add value to your property and the environment.